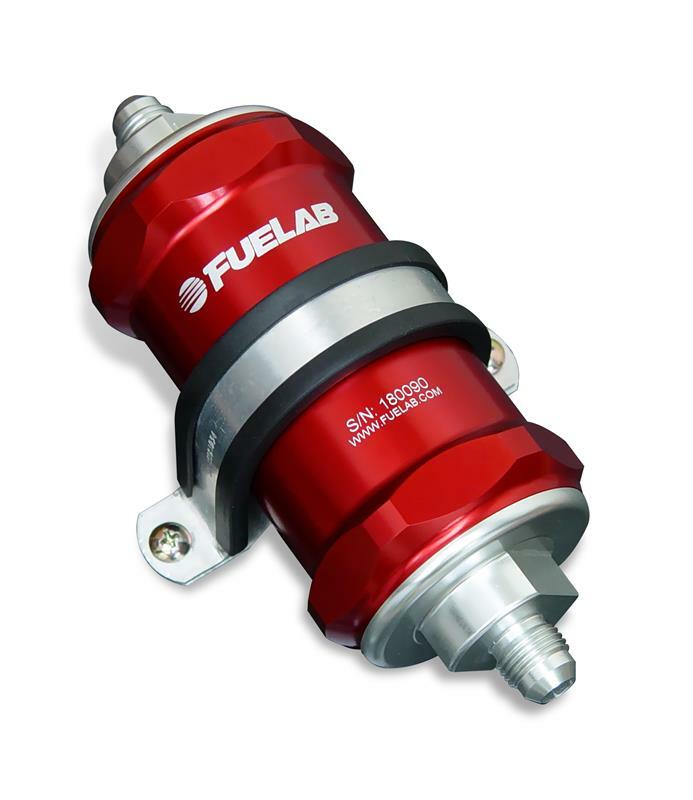 FUELAB In-Line Fuel Filters keep your engine running clean. 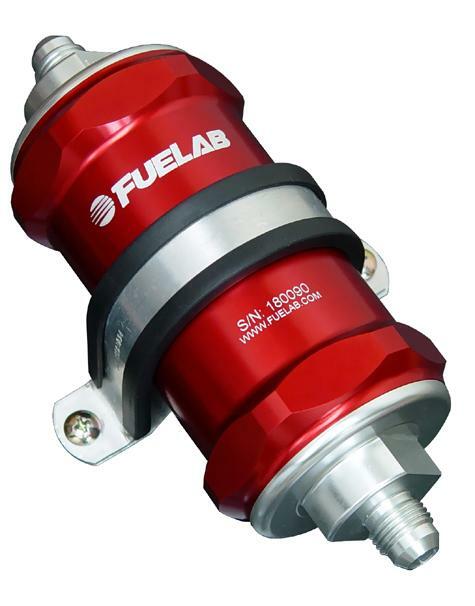 They feature male AN / 37º Flared fitting end caps, so you can attach them directly to other fuel system components*. Also featured are machined internal radii for minimal pressure drop. The compact 818 Series Fuel Filter includes a 3 inch element.